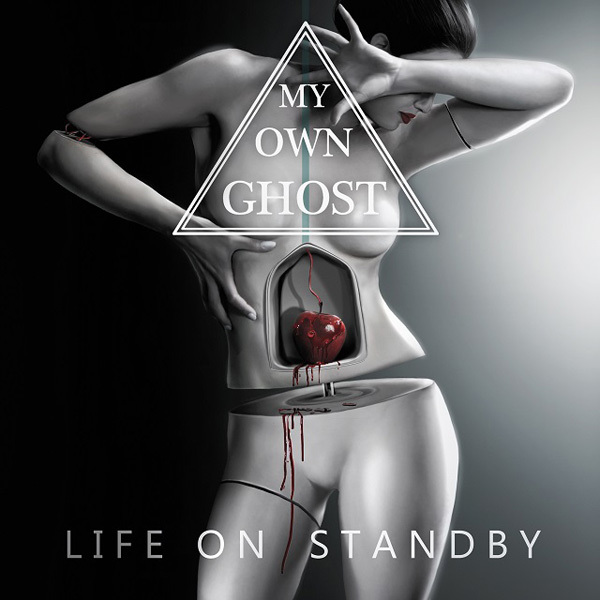 A life on standby is something My Own Ghost is certainly not experiencing judging by the reactions to their current album and recent live performances. 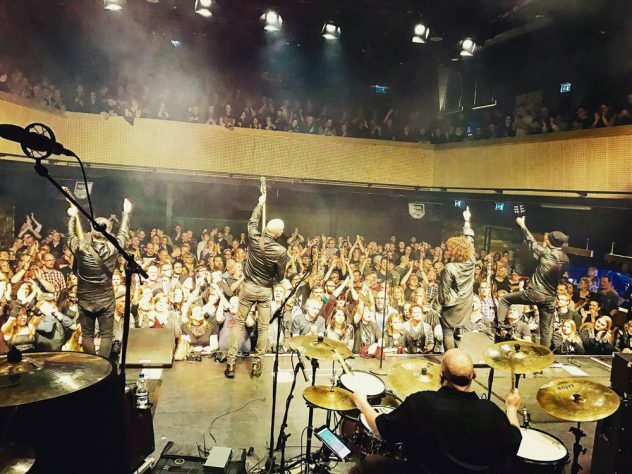 Luxembourg is one of the least likely destinations that comes to mind when attempting to compile a list of famous alternative-rock stars and memorable moments from this particular genre. However, recent history looks set to change all that due to the emerging talent that is My Own Ghost. 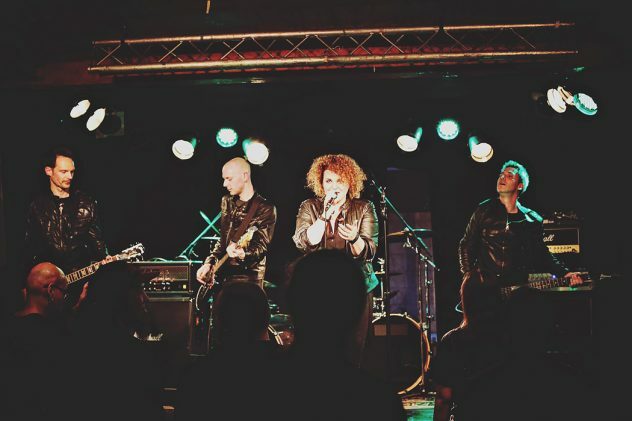 After debut album ‘Love Kills’ received encouraging reviews from music journos in the band’s homeland, not to mention news of this debut album filtering to neighbouring countries and thus adding to their tally of positive feedback, My Own Ghost has wasted no time in terms of building their repertoire for compelling alt-rock due to numerous live shifts over the last few years and, more recently, recorded output via sophomore album ‘Life On Standby’. 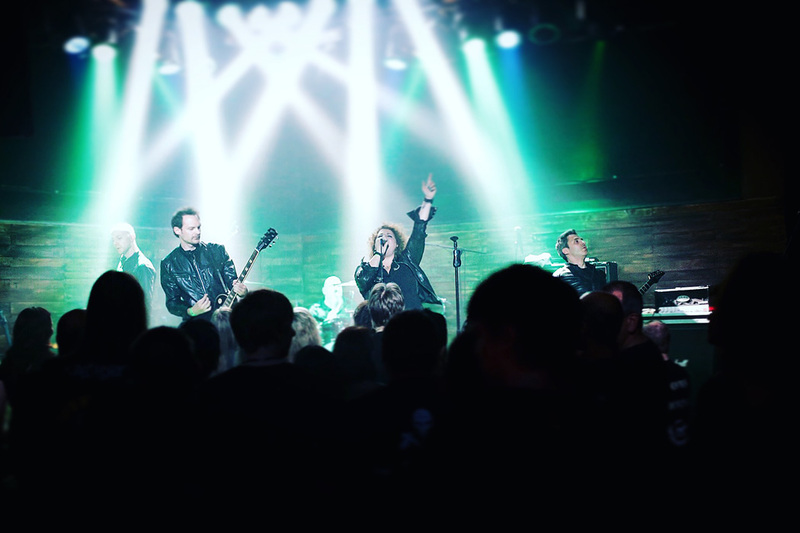 It was this second long player which alerted Famous Last Words (FLW) to the talents of each and every member of My Own Ghost – namely Judie Rodesch (vocals), David Soppelsa (guitar), Joe May (bass) and Michael Stein (drums) – who understand the dynamics required to forge a truly engaging album that incorporates a variety of sources from alternative rock, pop and more traditional rock music, and then proceeds to meld these various sources together in order to express the conflicting emotions on show here. The irony is most definitely in the title of My Own Ghost’s current album because life for these aspiring alt-rockers has been far from a period of inertia as recent trips in their native Luxembourg fulfilling various promotional duties regarding ‘Life On Standby’, to performing live to home audiences as well as adding new additions to their fan base after recent excursions to the UK, Belgium, Germany and the Netherlands demonstrates. Considering therefore, the recent surge in popularity for My Own Ghost, with the band currently riding a wave of momentum that is on an upwards trajectory, FLW is keen to establish where this all started for this alternative-rock combo, especially when, as mentioned previously, Luxembourg is not renowned for producing a long lineage of alternative rock bands from its own doorstep. “David [Soppelsa], Joe [May] and Fred [Brever] (who left the band recently) knew each other from previous bands,” sparks up lead singer, and only member present today for the discussion with FLW, Julie Rodesch. “In 2013, they decided to start a new project by posting an ad on Facebook, which I saw and ended up contacting them. During our first meeting, we noticed that it seemed like a good fit, and we decided to work together. I had already worked with Michael [Stein] in other bands and projects, and I just knew that he was the last missing piece to complete My Own Ghost. 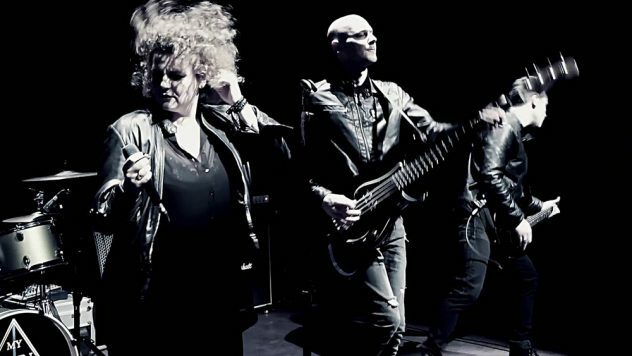 With FLW considering My Own Ghost to be an alternative-rock band, how exactly does frontwoman Julie Rodesch view the band’s sound? When you listen to your debut album ‘Love Kills’, how does it sound to you now, and what are your opinions of this record in 2017? Considering the glowing critical appraisal the band has received for ‘Life On Standby’, what do you remember of the entire recording process when working on this second album? How long did the whole recording process take for ‘Life On Standby’? Did you encounter any problems when recording the band’s album ‘Life On Standby’? “We tested some new technical approaches and naturally, at the beginning, there were some mistakes, so I had to record one or two songs a second time, but apart from that, it was quite a smooth process. Who came up with the album title, and is ‘Life On Standby’ referring to anything personal in terms of the band or one of the band members own experiences? Do you have a favourite track from the new album at the moment, and what are your reasons for this track being a particular favourite? Who was responsible for the artwork and ideas for the front cover of ‘Life On Standby’? What is the image trying to convey? It’s our turn to offer a couple of songs from My Own Ghost’s album, ‘Life On Standby’, because the songs – ‘Everytime I Break’ and ’10 Weeks Of Summer’ – have been rotating at a regular rate on the office music player of late. Therefore, what can you tell FLW about the ideas behind the lyrics for these two numbers? “‘Everytime I Break’ was born during a discussion I had with my dad,” replies Julie after some initial consideration. “He asked me why I sang. Funnily enough it took me a while to find the right and honest answer. But actually the reply was quite simple, I sing because it makes me happy and it makes me feel better. ‘So, ‘Everytime I Break’ is about no matter what comes in life, and no matter how hard some people might try and make me feel bad or sad, they can never take away this feeling of joy and happiness I have when I sing. Are you pleased with the overall outcome of the album ‘Life On Standby’ or, in hindsight, is there anything you would do differently now? Despite a surge in popularity for My Own Ghost on the live circuit, do you feel that we’re experiencing the death of live music in general in the current musical climate? What do you feel that you’re trying to say or communicate as a band and in terms of your music? From a different perspective therefore, in terms of what My Own Ghost is trying to communicate as a band, what’s it like being the only woman in the band, and how do you think music critics and audiences perceive you? What’s next for My Own Ghost? 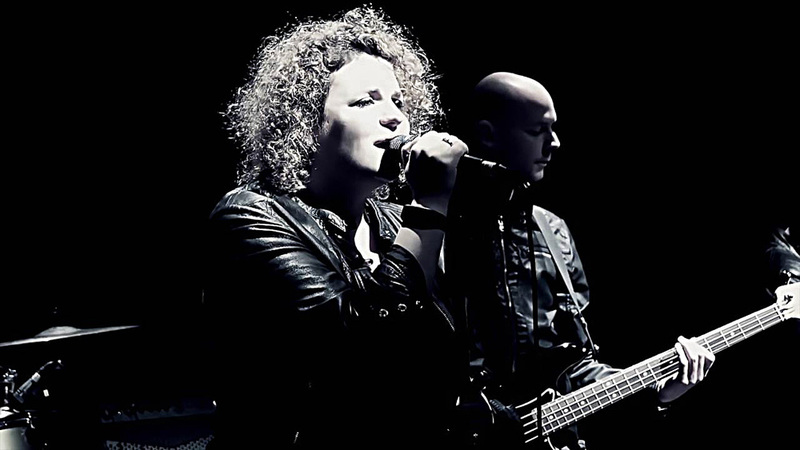 FLW is among those who are in the possession of a copy of ‘Life On Standby’ and as the band’s vocalist Julie Rodesch says, “make sure to get a copy!” as you will not be disappointed in terms of those who have a penchant for alternative-rock music. When it comes to My Own Ghost life will never be put on hold because this band cares far too much to allow any such negativity to creep in to their sound or lives. Positivity is the key word here, and it is an essential component that has provided My Own Ghost with the rewards they are currently experiencing which, by the way, are fully deserved. On the album there are some really sad tracks, but also songs with an optimistic outlook on life. This contrast was really important to us, as we wanted to show that you should never give up fighting and working to achieve your goals and to make your dreams come true." Just when life throws you a curveball, it sometimes turns out for the best. 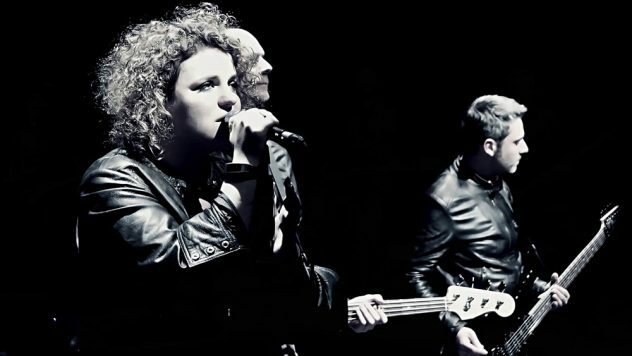 My Own Ghost certainly know a thing or two about such incidents as the band’s vocalist, Julie Rodesch, recalls one episode in particular during a stint out on the road when performing live.